Could an interim show open ahead of Rivers of Light at Disney's Animal Kingdom? Apr 18, 2016 in "Rivers of Light"
According to at least one source that has contacted us in recent days, Disney may be planning an interim nighttime show to open at Disney's Animal Kingdom. 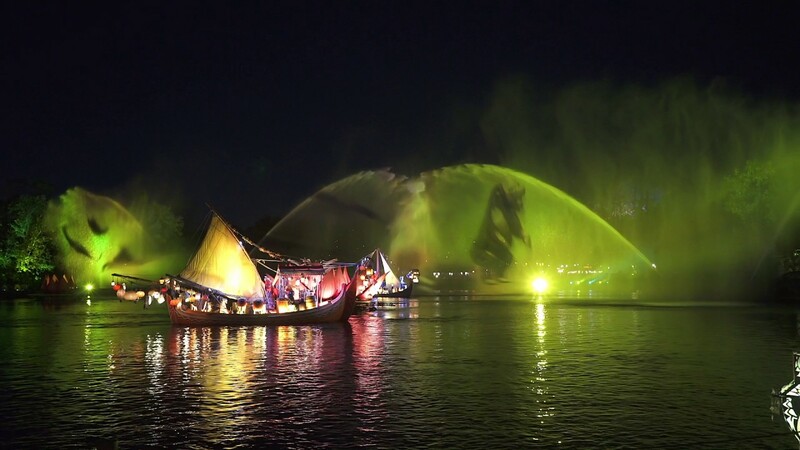 The big new nighttime spectacular, Rivers of Light, was expected to open on April 22 2016 as part of a relaunching of the park as a nighttime venue. A whole host of entertainment has been readied alongside the show, including live entertainment in Harambe Market and Discovery Island, the Tree of Life projection show, and a new nighttime version of Kilimanjaro Safaris complete with artificial sunset. Just a few weeks before Rivers of Light's intended debut, Disney announced that the show was not going to open on-time, and that an update would be issued later in May. Since then, rumors have been swirling as to the cause of the delay. The current leading theory is that there are a number of issues with the show's one-of-a-kind barges that make up much of the show. These floats maneuver their way around the water autonomously, using a highly accurate localized GPS system, that delivers accuracy of around 4 inches. Electric motors on the barges respond to the GPS positioning system keeping all the barges in perfect position. At least that is the theory. If reports are accurate, the reliability of the system has not been good enough for the show to be performed on a daily basis in-front of 5000 guests at a time. In a new twist to the story, a new source has indicated to us that Disney may be planning on introducing an interim show ahead of Rivers of Light, in a hope of giving the team more time to overcome the challenges that they are currently facing. 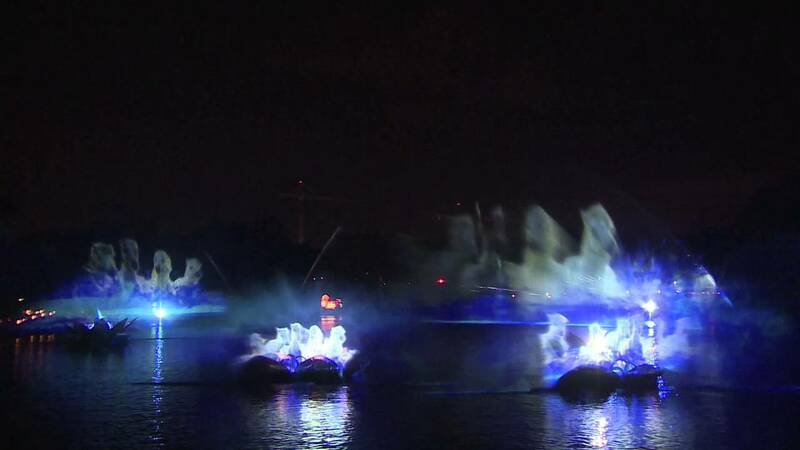 If this is in fact what is being planned, the interim show would use the elements of Rivers of Light that are reliable and ready for guests, which includes the projection systems and live actors. The recently released live-action version of the Jungle Book is being talked about as forming the basis of the interim show. Should this go ahead, Disney would be able to bring the success of the Jungle Book movie into the parks, make use of the recently completed seating areas, and move ahead with the Animal Kingdom nighttime experiences as originally planned. Rivers of Light would then open later in the year once the team believe it is ready for primetime. Disney hasn't yet commented on what is to come for Rivers of Light, other than a promised update in mid to late May. As always, until confirmed, treat this information as speculation.